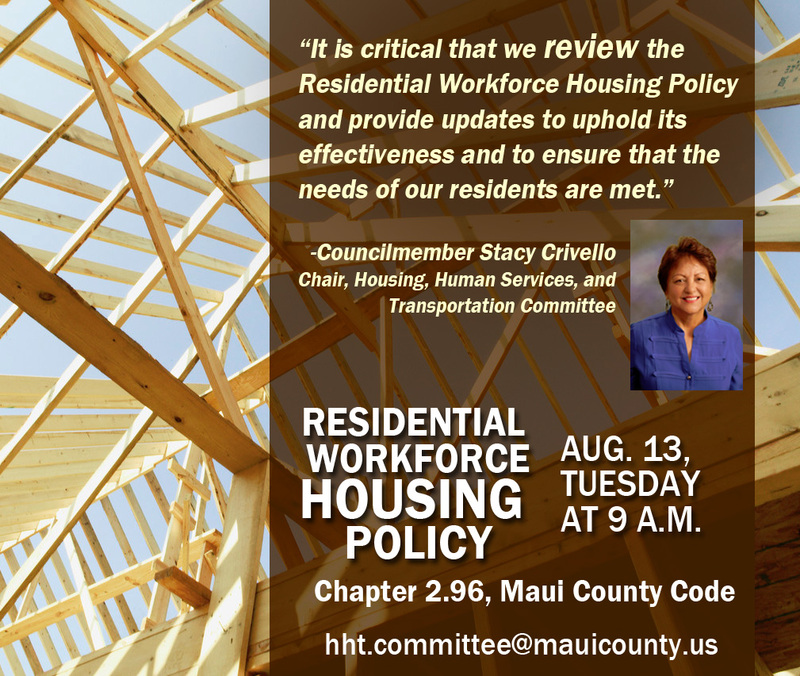 WAILUKU, Maui, Hawaii – The Housing, Human Services, and Transportation Committee is scheduled to review Chapter 2.96, Maui County Code, also known as the Residential Workforce Housing Policy, on Tuesday at 9 a.m., Committee Chair Stacy Crivello announced today. The public is invited to attend the meeting or submit testimony on the policy’s impact since its last review in 2010. The meeting will be held in the Council Chamber on the 8th floor of the Kalana O Maui building, 200 S. High St. in Wailuku. The meeting is open to the public. Testimony may also be submitted via regular mail to the HHT Committee, 200 S. High St., Wailuku, HI 96793 or electronically via hht.committee@mauicounty.us. Meeting agendas are available on the Housing, Human Services, and Transportation Committee website. 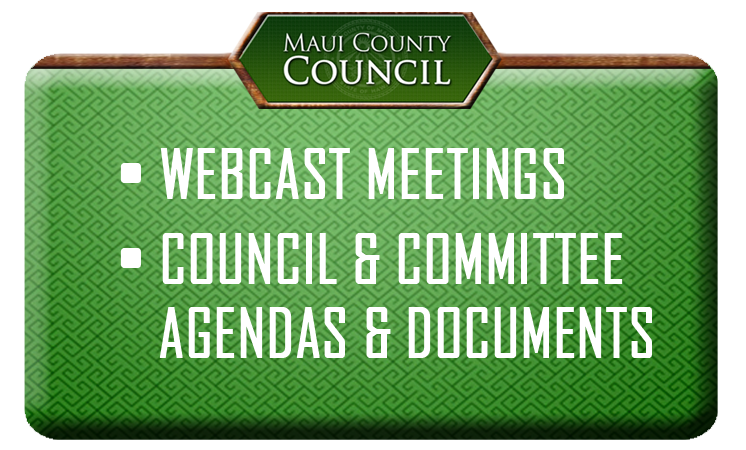 To receive meeting agendas via e-mail, please complete the on-line subscription form on the County website at www.mauicounty.gov.